Kala Moreno Parra is a photographer and multimedia producer based in Buenos Aires who has been working in media, photography and documentary for more than 10 years. Born in San Miguel de Tucumán, a small city in the north of Argentina. Kala graduated from the College of Arts at the National University of Tucumán. 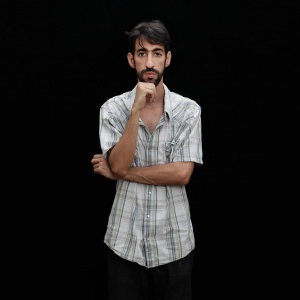 He specialized in Photo-Documentary at Infoto Foundation, institution where he currently collaborates as a photographer and part of the production team of the Argentinian Photo-Documentary Biennial. An international festival that has more than 10 years inviting authors from different countries to exhibit, think and work with photography through the magnifying glass of the documentary. In 2007 he decided to move to Buenos Aires for a scholarship granted by the Argentinian Photojournalism Association to study photojournalism and multimedia. Later on he became part of the association, getting involved in many activities like the annual photojournalism exhibition, the photojournalist annual meetings, workshops and cultural activities. He worked as a photographer, videographer and producer for the principals newspapers and medias in Argentina such as: La Nación, Pagina 12, Rolling Stone Magazine, 7 Días Magazine and Clarín Group. In 2012 he join Hecho en Bs.As, an organization that gives people in the streets the opportunity to get an income by selling a magazine, and to access to many social and arts programs. Photojournalism professor since 2012 at the bachelor's degree in journalism in the Universidad Abierta Interamericana. Kala also works as the personal assistant of RES, one of the main artist in Argentinian Photography. His photographs were exhibited and published in books and multiple groups exhibitions in museums and cultural centers in Argentina, Uruguay, México and Ginebra.